What Does It Mean for a Thing to Be “A Thing”? Yes, our episode 173 was not perfect. Maybe we can do a follow-up? Maybe you can help make that happen. Or maybe you think it was fine and we should all just move on. Seth will speak at the Inaugural Houston Community College Philosophy and Humanities Conference Fri. Nov. 4, 5:30pm in Houston, on “Reason, Memory, Habit and Discourse in the Age of On-Demand Content.” Admission is free, and you should attend. Meet and greet Seth afterwards at the conference reception. 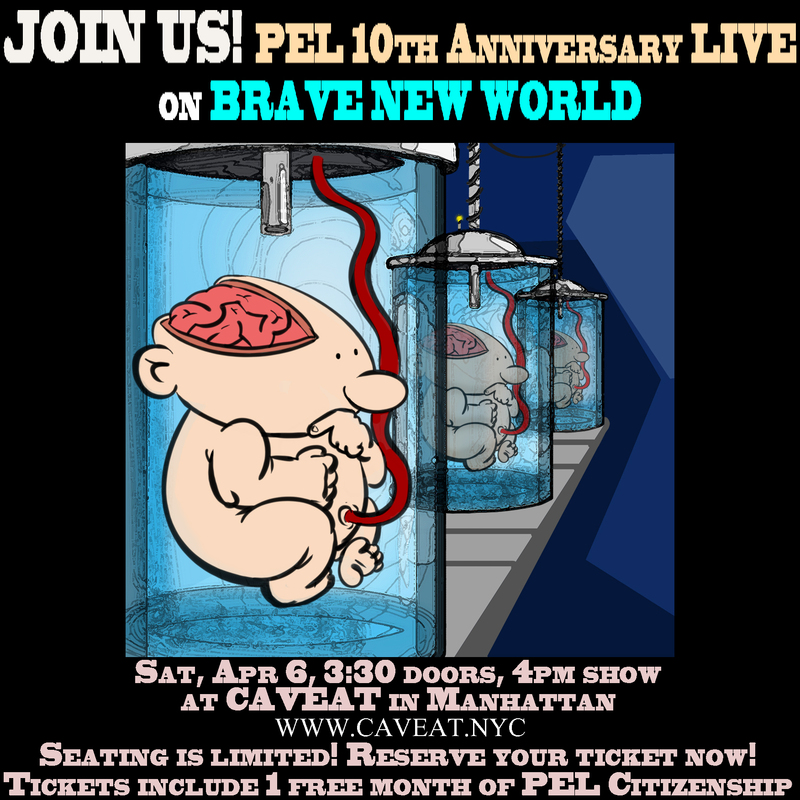 Grab your hats: PEL will be doing a live recording at Brown University on October 27, 2016. Wes Alwan will be at STOICON 2016, an annual meeting of people interested in exploring Stoicism as a philosophy of life. You should come too. As the heat of summer is causing me to spend as much time trying to stay cool as is humanly possible (and hopefully you as well, dear reader), we want to let you know about some of the upcoming Not School seminars that you can enjoy whilst pondering some of life’s more existential issues (such as: mojito or bud light lime). Everybody’s out “America-ing” this weekend, but we want to take a moment from your patriotic revelry to remind you of some of our PEL Not School seminars coming up in July. Want to keep up with the reading? 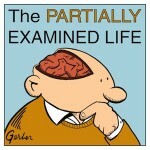 Go check out the new page: www.partiallyexaminedlife.com/upcoming, which now and for the foreseeable future will list the readings for future episodes as soon as we’ve got them finalized. It’s February! Time to check out the Citizens’ Forum and Not School proposals. Happy New Year! Nathan Hanks brings us up to date on January’s Not School offerings for PEL Citizens. 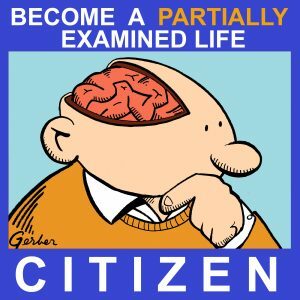 And if you’re not a Citizen yet, what better way to start the year than by making a commitment to your intellectual health? Topic for #129: Is Religious Faith Rational? Nathan Gilmour (Christian Humanist podcast) and Rob Dyer (God Complex Radio) joined Mark and Wes for a wide-ranging discussion on the reasonableness of religious belief, covering short articles by Alvin Plantinga, Antony Flew, Richard Swinburne, and others. 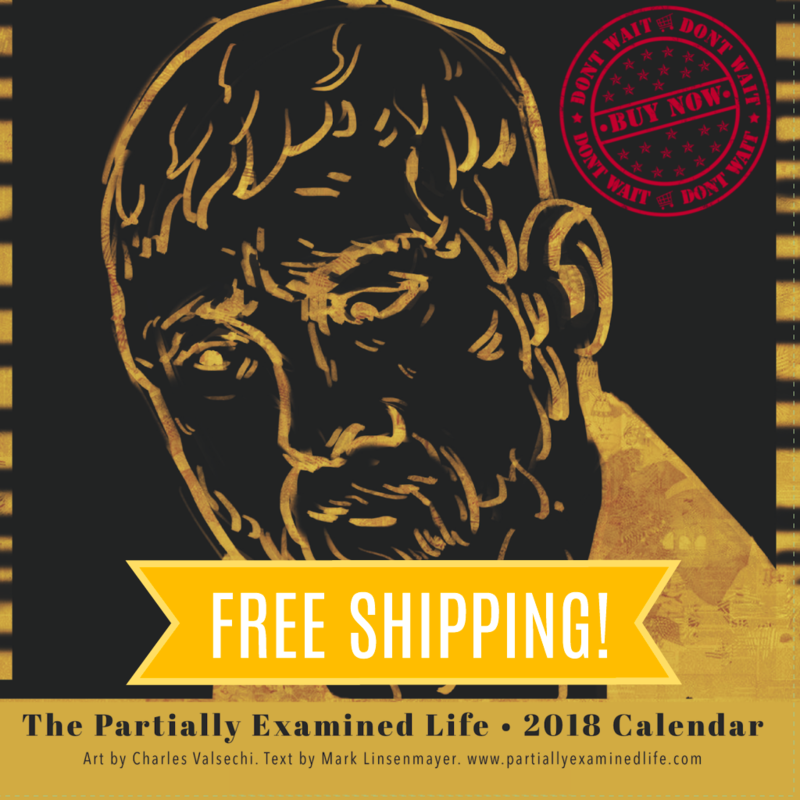 A 17-song album featuring the best tracks composed for the end of the podcast is now available as super cheap mp3s or as a gift-optimal CD. Newly mastered, shinier than you remember, better with repeated listens! It’s December! Time for PEL Citizens to join or propose groups and discussions in the Citizens’ Forum. Guaranteed to make your holidays more enjoyable! Join an existing or proposed Not School group, or create one of your own. Hey, our podcast episodes have now been downloaded over 11,000,000 times, which is crazy. Thank you on Thanksgiving! Here are some semi-speculative, vague announcements re: how things are going and what’s ahead. We were rejoined by Matt Teichman to continue our Kripke thread, discussing primarily Putnam’s essay “The Meaning of Meaning” (1971) about water here vs. water on “Twin Earth” where that stuff that runs in rivers and streams has a different chemical composition. Putnam puts forth a positive theory of meaning that involves holding a stereotype of a term (e.g., that water is wet) but also where your meaning is determined by extension, i.e., what your term in the real world actually refers to, so that we and the Twin Earthers mean something different even though we seem to have the same psychological state when talking about water. We discussed “Experience and Nature” (1925) about how philosophy tends to illicitly separate experience from nature, mind from the world, claiming that the world of appearance is somehow divorced from underlying reality. No, Dewey counters: what we start with is concrete, gross experience, which is not experience of “sense data” or any other theoretical entity, but which is experience of tables, people, feelings, values, etc.